Concrete block building with 3 (10' X 8') bay doors and 1 steel shop door (and rear patio door). Currently being used as office/shop with restroom (not ADA compliant). Parking for 3 vehicles in front. The shared alley allows access to the rear of the building which is not graveled or paved. Artery exposure-close to Loop 820 SW and Southwest Blvd. Sales Price of $200,000 and lease price of $1,300 per month Gross plus utilities. Highly visible office/warehouse building. The front office area is "A" Frame Construction with a mezzanine for storage. The back is a single-story concrete block constructed building with 2 pick-up height doors (8' X 8'). 14 parking spaces in addition to shared parking with an adjoining building. 3,500 SF (+/-) of office, 6,000 SF (+/-) of warehouse. Artery exposure. Pole sign. Water, sewer and electricity available to northeast part of property. This property has 3 small buildings on it. Two are used for car sales offices and one for auto repair. Building A - 12’ x 24’ (288 SF +/-) - open office with private restroom. Window unit supplies HVAC. 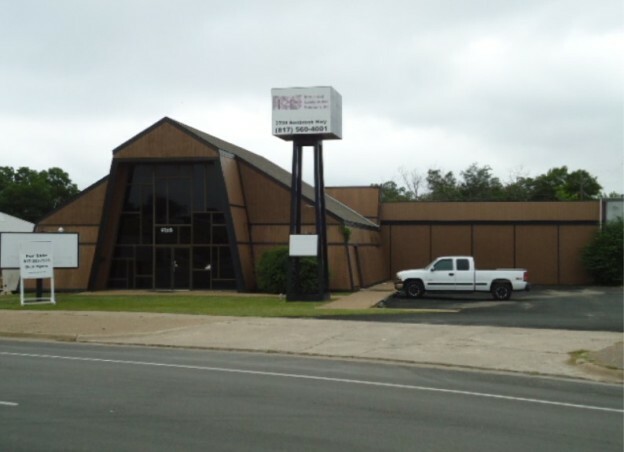 Building B - 14’ X 28’ (392 SF +/-) - 2 offices, reception and private restroom. Window unit supplies the HVAC. Building C - 50’ X 40’ (2,000 SF +/-) - steel building used as a garage, no equipment. 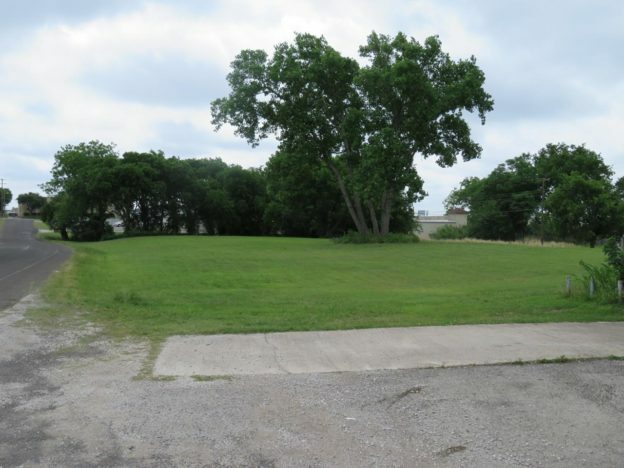 The land has been used as a wrecking yard and is currently used for auto storage by the Owner. There are gas wells on the property. Minerals and gas leases will not convey with the sale of the property. All of the buildings are leased but can be cancelled when the property closes. Blue dotted line is a railroad spur easement. The owner has full use of the land and can fence it in. The blue hatched line is a city owned abandoned alley. The owner leases it from the city for a nominal fee and has full use of the land except cannot build on it. 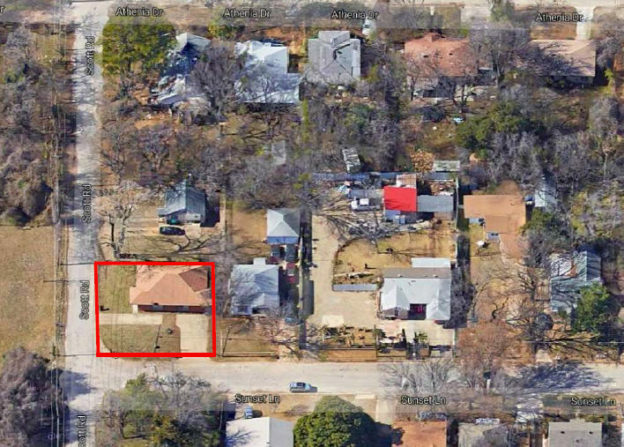 Central location with a fully fenced yard, with ample paved yard area around the buildings. Has 18 marked parking spots and street parking. 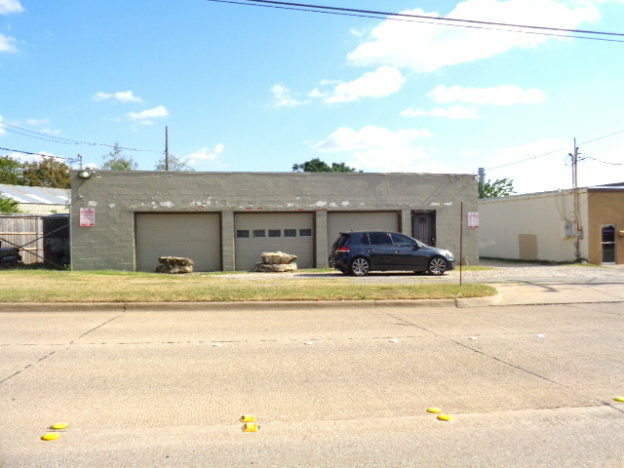 There are 4 buildings on site: Building #1 Office Building-1,710 SF (+/-) cinder block and brick construction. 4 offices, conference room, restroom and waiting area. 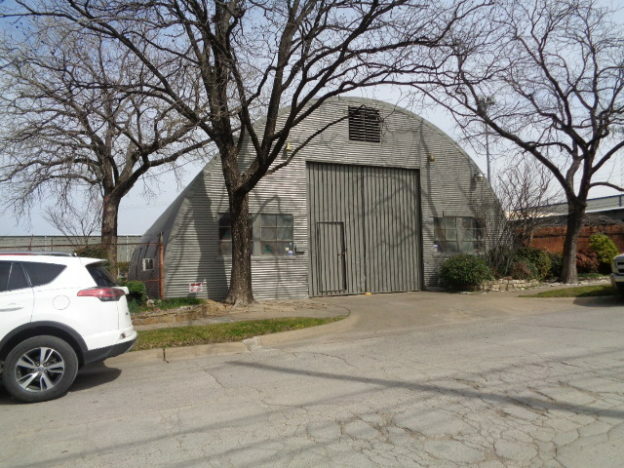 Building #2 Quonset Hut-4,168 SF (+/-). Several rooms for shop, office, restroom and storage plus a fenced in storage area. 20 ft. ceilings, 480 amps, 240 volts, 3-phase power. Building #3 Shop/Warehouse-459 SF (+/-) wood frame building, open area. Building #4 Storage Garage-2,693 SF (+/-) 10-10 X 10 overhead doors, space is 26.5 ft. deep, divided. 2-3 bays, 1-2 bay and 1 single bay. Minerals do not convey. Commercial land. Frontages of 159' (+/-) on Santa Paula Drive. All utilities available. Convenient freeway access. Located on the west side of Fort Worth. Zoned "E" Commercial. Owner financing available. Prime development site. Approx. 300" frontage on Stratum Drive. Ideally suited for office, warehouse and flex development. Water and sewer: City of Fort Worth. Electric: TXU Energy. Natural gas: TXU Gas Company. Telephone: AT&T. Frontages are approximately 1,100 feet. Buyer to verify utilities. 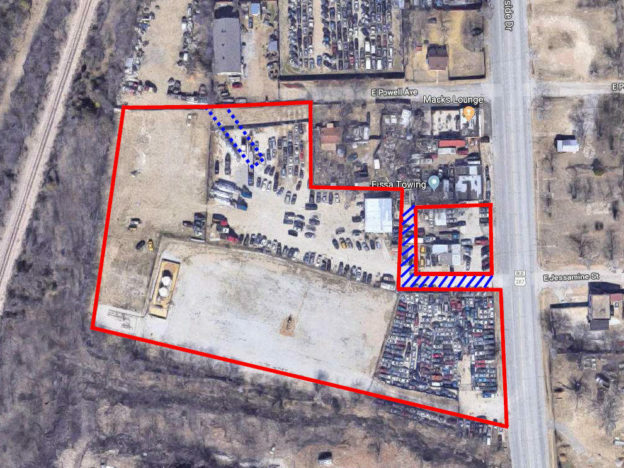 2 acres zoned Commercial/Interstate. The other 2 acres are not within city limits. Additional acreage available. Duplex or re-development site. Frontages of approx. 71 Feet on Scott and 70 Feet on Sunset. City water, sewer and sanitation available. This property is approx. 100 Feet from the entrance of the new commercial-residential development that is underway in the area. There is a 1,505 SF (+/-) duplex on the site built in 1984 that is generating approx. $15,600 per year in income before expenses. 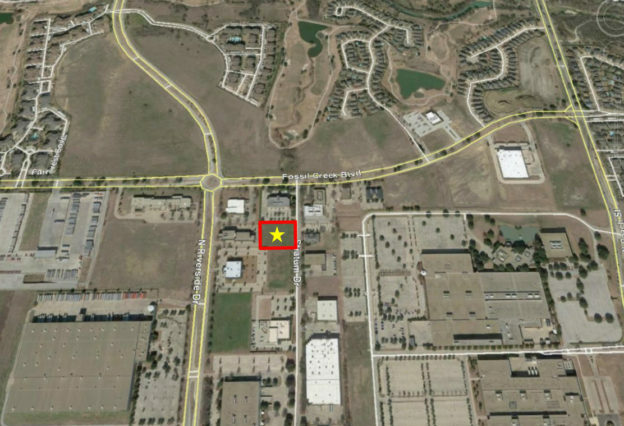 Medical/Retail Development Site. Frontages of 199.98 feet on Santa Fe Drive. 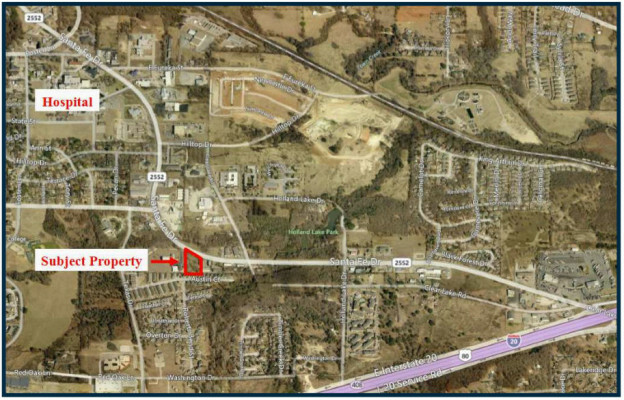 Utilities need to be brought across Santa Fe Drive to the property. Zoned General Retail which includes the sale of goods and services (ie medical and dental services). High traffic location close to interstate and hospital. $299,000. Frontages of Gardega Road - 815' (+/-) - County Road 806 - 702' (+/-) - south side and E. Henderson Street - 363' (+/-) - north side. Southernmost 9.596 Acres fronting Henderson is zoned "MF" Manufactured Housing. 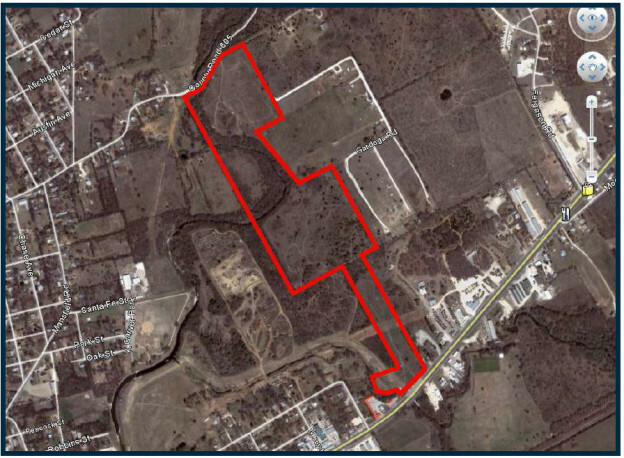 The remaining 42.588 Acres are outside the city limits of Cleburne. 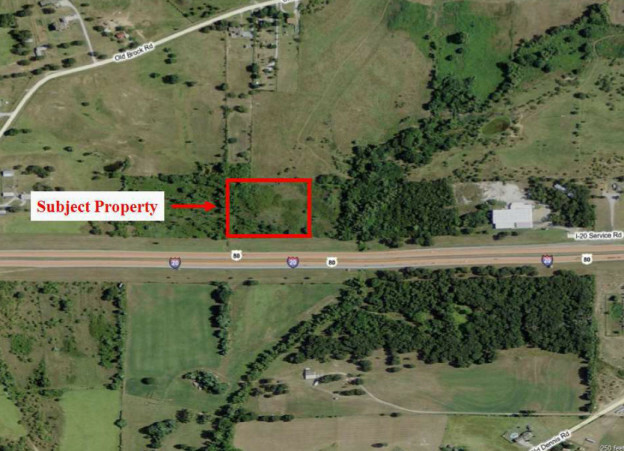 Large acreage tract on eastern edge of Cleburne; great for large home site; potential commercial uses along US 67; a portion of the property is located in the floodplain/floodway. Well and septic required, no sewer or water to the property. No minerals available.